The 2016 Kids’ Choice Awards was held in Inglewood, California on Saturday, and here is the full KCA winners list below. 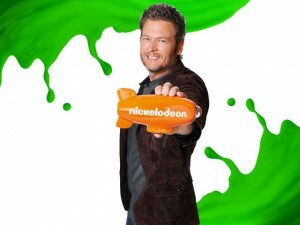 Hosted by Blake Shelton, the KCAs hand out orange blimp trophies to the year’s biggest music, movie, and television stars. Not only is Shelton this year’s Kids’ Choice Awards host, but he’s also nominated for Favorite Male Singer. He’s facing off in that category against Justin Bieber, Drake, The Weeknd, Ed Sheeran, and Nick Jonas, who hosted last year’s Kids’ Choice Awards. In addition to all the previous categories in movies, television, and music, this year the KCAs added six new awards. They are for Favorite Cooking Show, Favorite Collaboration, Favorite Male TV Star In A Kids’ Show, Favorite Male TV Star In A Family Show, Favorite Female TV Star In A Kids’ Show, and Favorite Female TV Star In A Family Show. What makes the Kids’ Choice Awards great is the winners are decided entirely by the fans. For weeks, kids have been voting for the winners in different KCA categories on Nick.com. And on Saturday night, all the winners will be announced.